A group at John Hopkins University has just conducted a preliminary clinical trial on a novel treatment for age-related macular degeneration (AMD). This new treatment, which uses a common viral strain, could help reduce the amount of times AMD patients go in for injection treatments. The professors involved in this study specifically targeted the vascular endothelial growth factor (VEGF). This protein is often at the root of wet AMD patients' visual problems. Researchers said the main goal of this clinical trial was to see how well they could suppress VEGF with just one injection. The first phase of this clinical trial had a total of 19 men and women with late stage wet AMD. All of these patients were over the age of 50. Trial organizers split these 19 patients into five groups, each of which received different injection strengths. The viral vector used in this trial is known as AAV2. This vector is often found in the common cold. Chemists designing this injection made sure it stimulated the production of a protein called sFLT01. The sFLT01 protein is especially good at binding to VEGF and stopping the leakage of blood. To say the least, the results of the study were astounding. Four of the patients with severe wet AMD experienced a dramatic recovery after just one injection. 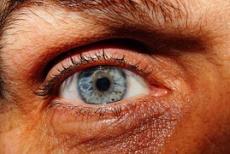 Two other patients saw a slight reduction in overall eye fluid. All patients showed no negative side effects. Interestingly, some of the patients who didn't show any improvement in symptoms naturally produced antibodies that attacked the AAV2 virus. So, while this viral solution does show great promise, the prospective patient must be free from any antibodies that would attack the AAV2 virus. Unfortunately, doctors believe many US citizens have these antibodies, and so this treatment may be ineffective for a majority of Americans with wet AMD. Of course, this is only the first of many clinical trials, and doctors need a larger trial to assess the efficacy of this viral injection. John Hopkins researchers do believe this injection shows great promise for the future treatment of wet AMD, and they are looking forward to further studies. In case you didn't know, there are two main strands of AMD. The more common form of AMD is referred to as "dry AMD" and occurs when the retina is destroyed. The less common strain of AMD is "wet AMD," which is when blood vessels behind the retina leak blood. Although only 10 percent of people with AMD have the wet strand, wet AMD is extremely severe and can quickly lead to vision loss. The most common way to "treat" wet AMD is by using VEGF-suppressing injections at least once every four weeks. These injections are costly, fraught with negative side effects, and time consuming. Wet AMD patients have to keep getting these invasive injections for the rest of their lives to keep VEGF at bay. As the population ages, the number of people with AMD is only expected to rise. Many doctors recommend everyone over the age of 40 get at least one eye exam every year to check for AMD and other eye diseases like glaucoma. People interested in reading the John Hopkins study can read the full article in the May 2017 edition of The Lancet. This study is entitled "Intravitreous injection of AAV2-sFLT01 in patients with advanced neovascular age-related macular degeneration: a phase 1, open-label trial."